How do I become a successful female entrepreneur? How do I grow my business or make it profitable? That’s the question many of you are asking. While it is true anyone can start a business,the bad news is, not everyone can build a profitable business. 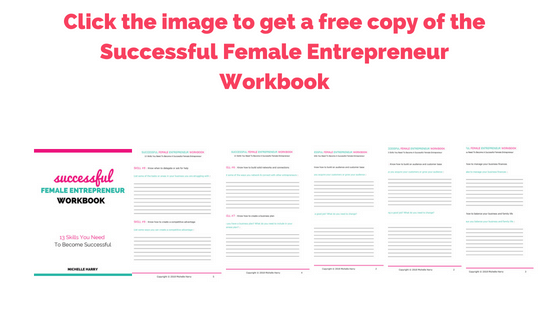 There’s a ton of advice and resources on what it takes to be a successful female entrepreneur. In my experience, you need some specific skills to build a successful business. Whether you’re a new business owner, or you’ve been in business for some years,there are 13 skills you need to become a successful female entrepreneur. What are these skills you say? Please note, this post has affiliate links. If you buy anything using my link, I may receive a small commission. Thanks! What do you do when giving up isn’t an option? How do you pick yourself up when life throws you a curve-ball? What do you do when nothing is working the way you’d like? How do you stop yourself from quitting when it feels like everything is going against you? It’s tempting to want to quit or look for an easier option, but successful entrepreneurs don’t quit. Something inside of them won’t allow them to give up on their dream. Successful female entrepreneurs don’t wait for anyone to pick them up.They pick themselves up and don’t let circumstances or naysayers hold them down. If you want to build a successful business, then you have to find a way to motivate yourself when things aren’t going as planned. You have to stay positive and keep taking consistent action until your fortune changes. Successful female entrepreneurs know how to get the business knowledge they need. Many women are starting businesses without acquiring the knowledge and skills they need to succeed. If you’re serious about growing your business, the first thing you need to do is to assess your strengths and weaknesses. Identify the gaps in your knowledge,then create a learning plan to help you bridge the gap. Successful entrepreneurs know when to invest in themselves. You have to invest if you want your business to grow. As a business owner you need to learn how to use new tools, new marketing methods, sales strategies and more if you want to increase your income. Am I investing in my growth? 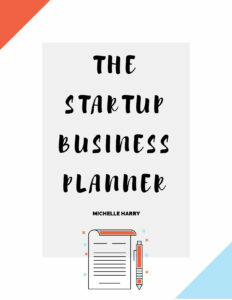 Do I know everything I need to know to grow my business? Do I have the tools and knowledge that’s required to build a successful business? Have I identified my strengths and weaknesses? Do I know which area of business I struggle with? What skills do I need to acquire or improve (such as, copywriting, marketing, email marketing, social media marketing etc)? Do I have a learning budget? Do I have a learning plan or do I often find myself going down a rabbit hole in search of information I don’t need? It’s impossible to build a successful business if no one knows you exist. One of the skills successful female entrepreneurs have is the ability to build a tribe of loyal followers and customers. This is by no means an easy thing to do. The first step to building an audience is to create a customer avatar. A customer avatar is a representation of your ideal customer or audience. Many business owners make the mistake of trying to reach every one. Everyone isn’t your ideal customer. When you identify your ideal customer/audience, and you understand their needs, you can tailor your marketing strategy to help you find and connect with them. So how do you find your audience? You can find and connect with your audience on social media, by joining online groups, networking offline etc. Don’t try to be everywhere at once. Start with 1-2 social media platforms where your target audience hangs out, and start building your audience. It can be difficult when you’re just starting out. The key is to not get discouraged. The goal is not to build a very large following, instead you want to focus on building a tribe of active and loyal followers. I am not the most sociable person in the world. I like to keep to myself. I am sure some of you know what I am talking about. However, if you want to be a successful business woman, you have to get outside your comfort zone and do what’s necessary for your business. Don’t forget to check out some of the big players in your market to see how they are finding and connecting with their audience. Freebie Alert: I created an 8-page workbook to go along with this post. You can grab a copy by clicking the image below. Every year, many businesses fail because of poor financial management. It’s impossible to build a profitable business if you don’t understand or know how to manage your business finances. You don’t have to be an accountant or a finance graduate to have good money management skills, as long as you are willing to learn about business/personal finance you’d do just fine. While you can hire someone else to help you with your business finances, you still need to know about the financial aspect of your business so you can make good financial decisions. Raise your hand if you underestimated how much time you need to invest to start and grow your business. As a mompreneur, managing my business and family life is one of the biggest challenges I face. If you are married or have kids (or other family commitments), you have to find a way to balance it all. Ask for or hire some help if you can afford it. Staying organized and prioritizing your activities is crucial to balancing your business and family life. One of my mom’s favorite saying is “no man is an island.” I heard that a lot when I was growing up. As an entrepreneur, it’s important to network with your peers for support and collaboration. Being an entrepreneur is often lonely especially if you’re an online entrepreneur. It’s easy to just live in your own world without interacting with other entrepreneurs. Knowing how to network including gaining access to mentors and business advisers will help you to grow your business faster. Finding the right support can be difficult but you have to be proactive. Find different ways to connect with your peers and to find mentors. If you’re a blogger, check out this post for some great reasons why you should network with other bloggers: 12 Reason Why (& How) You Should Network With Other Bloggers. Many female entrepreneurs are just winging it. They haven’t taken the time to create a business plan because they don’t know how to write one, or maybe they don’t think it’s important. You can’t grow your business without a plan. I am not talking about anything too elaborate, but you should have a plan that tells you what to do and when you should do it. Basically, a guide for helping you make decisions in your business. As a business owner, it’s impossible to do it all. One of the challenges female entrepreneurs face is lack of support. 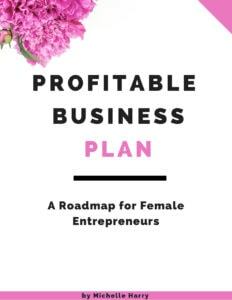 If you’re serious about becoming a successful female entrepreneur, you need to know when to delegate, when to get help,and how to hire the right employees or contractors. It’s hard to spend money to get help when you’re not making enough money to cover the cost. However, if you’re struggling in a particular area, the smart thing to do is to get some help, delegate the task, or hire it out. You don’t need to hire a full-time employee. You can hire a VA for a few hours a week or month, or use a contractor as needed. In any event, if you want to be successful, you should have the ability to identify your strengths and weaknesses, know when to seek help, and where to get help. No one knows everything. Asking for help means you’re willing to learn and adapt which can only be good for your business. I have written a far bit about how to create a competitive advantage in your business. Successful female entrepreneurs know how to stand out from the competition. If your target audience doesn’t know you exist, you won’t have a business for very long. With so many voices clamoring for attention, you have to figure out a way to stand out from the noise. What makes your business unique? Why should your customers choose you? What do you do better than the competition. These are the questions you need to answer to help you figure out a way to stand out. These are just some of the different ways you can create your competitive advantage. Creating your competitive advantage really boils down to one question. Why should I choose you? If you can answer that question clearly, then you have found a way to market yourself to your customers. Are you struggling to stay organized in your business? As a small business owner, staying organized is essential both to your success and sanity! The best way to stay organized is to create systems and processes for your business. You should also automate as many tasks as you can. Also learn to schedule your tasks and use a planner or calendar to plan your week. What types of systems should you create? These are examples of systems you can create in your business to help you stay organized. You also need to find a way to automate tasks like bill payment, scheduling your social media posts etc. Creating systems and processes for your business means you don’t have to work round the clock to grow your business. Which means you can work smarter and not harder. A lot of female entrepreneurs struggle to use technology in their business. It’s almost impossible to grow your business without the use of technology. Understanding the type of technology your business requires, and learning how to use it is essential for the growth of your business. There are lots of classes (free and paid) that you can take to learn how to use technology in your business. These are just some examples of tech skills you need to be a successful female entrepreneur. Learn how to use technology to map out and automate some of the most important tasks in your business. As a small business owner, the success or failure of your business begins and ends with you. I didn’t say that to scare you. When you are an employee, you basically just follow orders. But as a business owner, one of the most important skill that’s essential for your success is the ability to make good and timely decisions. You can’t make good decisions if you lack business knowledge and ability. That’s why you need to learn all you can about your business and entrepreneurship in general. Like some of you, I sometimes struggle with discipline and consistency in my business. As a single mom of two, l have to juggle many responsibilities, but I know the only way I am going to achieve my goals is to show up daily. You can’t teach consistency. The only way to be consistent is to show up daily and do the work. Make it a part of your routine and before you know it, it will become a habit. If you are struggling with consistency or you lack self-discipline, don’t wait for any special hack or tip. You don’t need to take a course or a class on consistency. Just do what you need to do daily or weekly. You can’t teach consistency, but you can learn how to become consistent. If your lack of consistency is because you have too much to do, then the first thing you should do is to determine your priorities. Try to scale back on a few commitments so you can pursue your goals. Are there activities or tasks you are doing because you’ve always done them, and not because you need to do them? For example it’s better to show up consistently on one social media platform instead of showing up sporadically on four of them (I am guilty of this, but I am working on it). Consistency and discipline are two of the biggest obstacles preventing a lot of female entrepreneurs from achieving their goals. If you are disciplined and consistent in your business, you’ll be ahead of most of your competition. To recap, anyone can start a business. 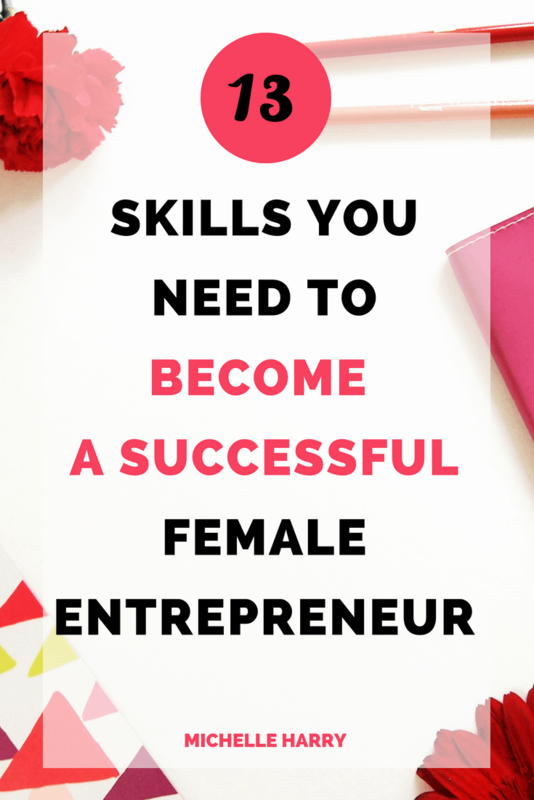 However, if you want to become a successful female entrepreneur,you need to have the right skills to help you grow your business. It’s possible to learn or acquire the skills or knowledge you need to build a profitable business as long as you’re willing to invest the time and money that’s required. Did this post resonate with you? Do you lack any of these skills? What steps are you going to take to learn or improve them? Let me know in the comments. If you enjoyed this post, don’t forget to share it on your favorite social media platform. You’re awesome!